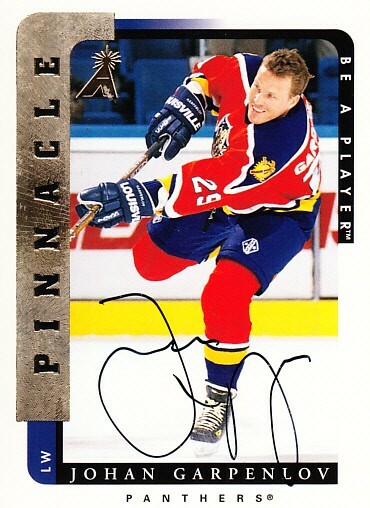 1996-97 Pinnacle Be A Player certified autograph card of former Florida Panthers winger Johan Garpenlov. With certificate of authenticity from AutographsForSale.com. ONLY ONE AVAILABLE FOR SALE.